Doctor Who does Abbey Road! This Doctor Detailed Street Crossing Blue Juniors T-Shirt shows some of your favorite Doctor Who villains walking across Abbey Road, just like the Beatles. 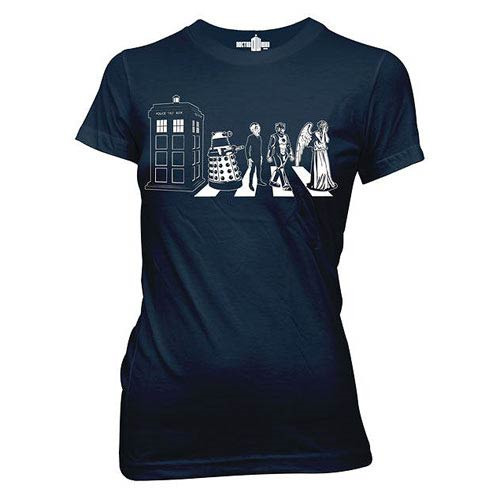 This great tee shows the TARDIS, a Dalek, the Silence, a Cyberman, and a Weeping Angel!